There are thousands of styles of writing / fonts from the very plain to the ornate. You are to design a style of writing based on the theme PARTY PACK. The party pack will contain self assembly decorations. 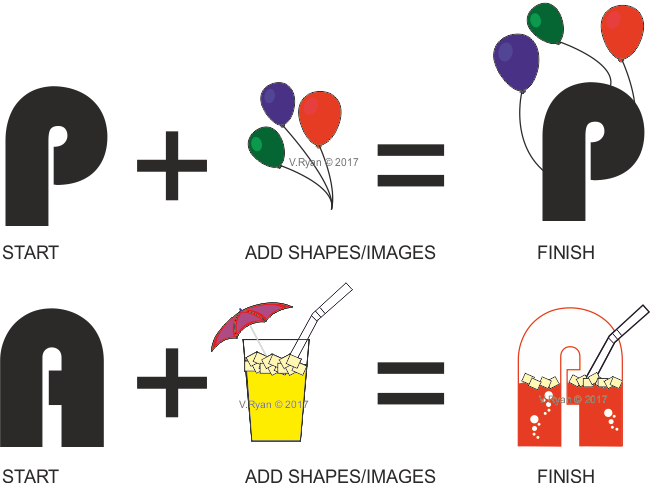 Some images relating to the party theme are shown below. These may help you develop an appropriate style of writing for the theme. Start be selecting a normal style of writing such as ‘Bahamas Heavy’. This a rounded style and fits in well with the shapes and forms of the party theme. 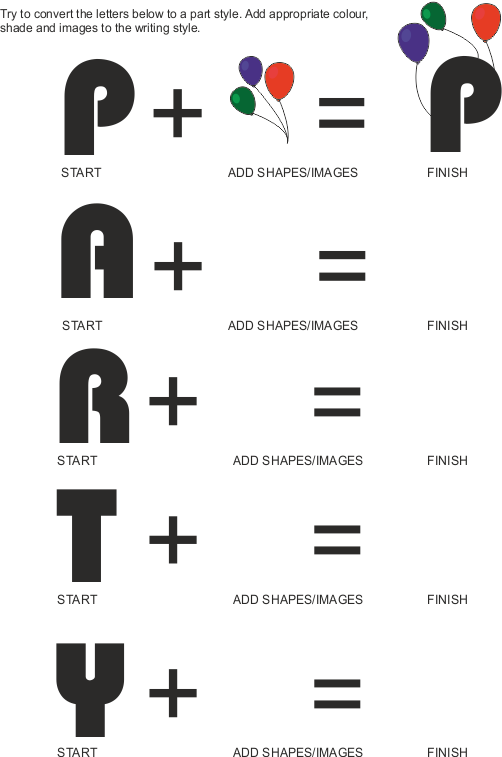 Add shapes to the letters. For instance the ‘M’ has shapes and forms seen in the sample musical notes above added to it. Try to convert the letters below to a part style. Add appropriate colour, shade and images to the writing style.